This charging handle is a new contender, boasting features of some of the best upgrades on the market at a fraction of the cost. 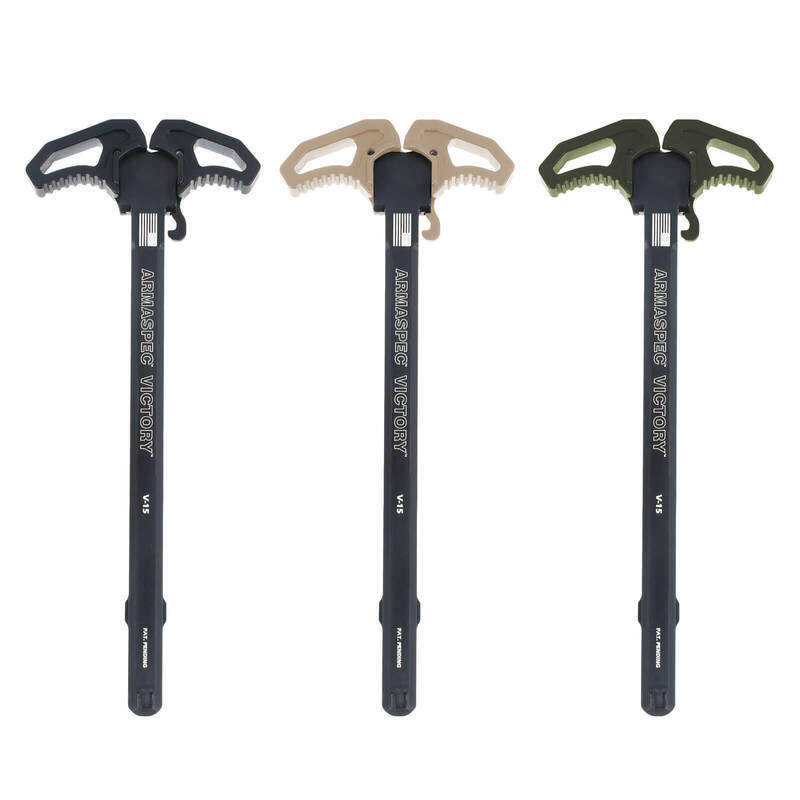 The Victory charging handle has unique gas vents machined right into the dual handles, preventing gas from going into the shooter’s face. That’s key for shooting suppressed, or for your AR pistol with a shortened gas system. Integrated Gas Vents keep heat and carbon away from the shooter’s face – an upgrade over most competitors. Prop 65 Warning: This product can expose you to chemicals including lead, which is known to the State of California to cause cancer and birth defects or other reproductive harm. For more information go to www.P65Warnings.ca.gov. Armaspec is Raptor’s equal, and much better price! Get fit, finish, function. Solid build that is just what a left handed shooter needs. Thanks for sharing your feedback. We're so glad you're satisfied with your purchase. Cheers! The quality of this charging handle is as good. if not better, than some that cost $30-50 dollars more. Thanks for sharing your feedback, Kelly. We're glad you're satisfied with your purchase. Cheers! the quality of this charging is second to none, I like it better than one I already have that cost $ 30.00 more.